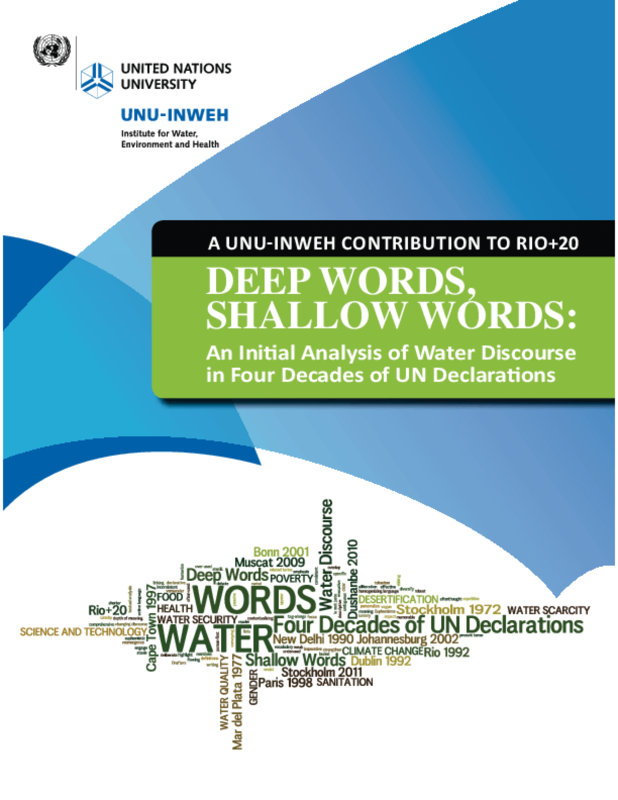 By analyzing the texts of UN Declarations and Statements resulting from high-level meetings on water and the environment, the authors are able to highlight important trends in water and sanitation discourse. While some shifts were deliberate, based on changing priorities and knowledge in international development, others may simply be attributed to resolution drafters failing to pay close enough attention to the effects of their word choice. As documents can be influential in shaping future initiatives, it is important to remember that words matter and to take heed of the recommendations presented here for cogently discussing the need for real development in water and sanitation. Copyright 2011 United Nations University Institute for Water, Environment and Health (UNU-INWEH).